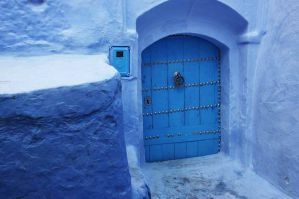 Chefchaouen is a beautiful mountain town in northeastern Morocco. It's also on of the most popular tourist towns in the area because of it's beautiful white and blue medina that is set against the backdrop of the Rif Mountains. It has a truly magical and unique look that can't be found anywhere else. Because the town is so popular with tourists, there are plenty of amenities available including affordable accommodation. Hostels and guesthouses offer visitors a quiet place to relax after a busy day exploring the town and surrounding countryside. 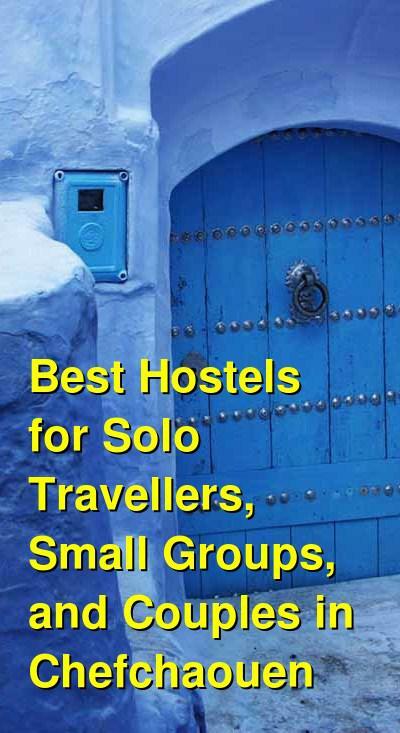 How much do hostels in Chefchaouen cost? This hostel is located in a 600 year old house that has been beautifully restored into a comfortable hostel. There are several great communal areas where guests enjoy relaxing with a good book or chatting about their travels. This is a good environment for meeting other travelers. The rooms are clean and comfortable and the atmosphere is relaxed. The hostel also has a beautiful terrace that offers views of the entire area. A simple cafe in the hostel has basic dishes for an affordable price. There is also wi-fi available throughout the hostel. It's also possible to arrange a shuttle taxi to the famous God's Bridge. Private rooms are either twins or doubles and you can choose from shared or private bathrooms. Standard six bed dorms are also available. The hostel is conveniently located near most of the area's top attractions. It's also near restaurants, bars, and shopping. Aline Hostel is the place to stay if you're looking for an affordable hostel where you can make new friends and swap travel stories. It's conveniently located across from the medina next to the river Ras el Maa. It's slightly removed from all the activity, but it offers a peaceful location where you can enjoy a simple retreat from your travels. The staff will greet you with a welcome drink and it won't be long before you're soaked up into the atmosphere. The hostel will quickly become your home away from home and soon you'll lose track of time. The hostel is an oasis of calm where you can unwind from your busy travel days. Aline Hostel usually has travelers from around the world, so you'll make diverse friends and hear interesting stories while you're here. It's a unique setting where east meets west and cultures mix effortlessly. There are several common rooms, a bar, and terraces where you can enjoy nice views. Dorm rooms sleep four, six or eight people. Four bed dorms are female only, and the larger dorms are co-ed. Dorms can be a bit small and feel cramped at times, but in general, the environment is comfortable. A good hostel for solo travellers and families. Pension Souika is conveniently located in a central part of Chefchaouen and is within walking distance to most of the town's main attractions. The hostel is located in a traditional Andalusian house and it is located in the beautiful and historic medina in the city. The hostel has 13 rooms and two living rooms. The living rooms have sofas and tables where you can relax and chat with other guests. There's also a tv and movie room where you can watch television or read books. The outdoor terrace is a beautiful place to view the city. If you're on a tight budget, or just like the novelty of the idea, you can sleep under the stars on the terrace. This option is only available during the summer months. The staff are helpful and friendly. They speak Arabic and French with some Spanish and English. Other amenities available through the hostel include free wi-fi, a book exchange, luggage storage, travel information and access to guidebooks. Private rooms are available including twins, doubles and triples. All rooms have shared bathroom. Four and nine bed dorms are also available.